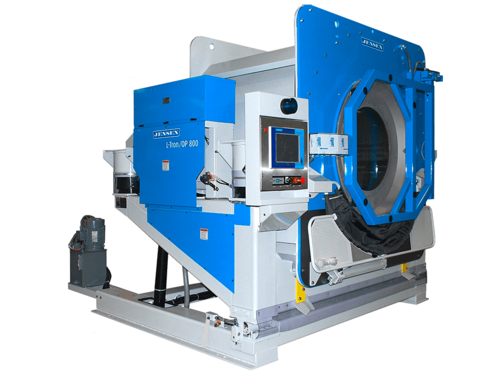 Large capacity washer extractor with the option to eliminate manual material handling and automate your laundry processing. 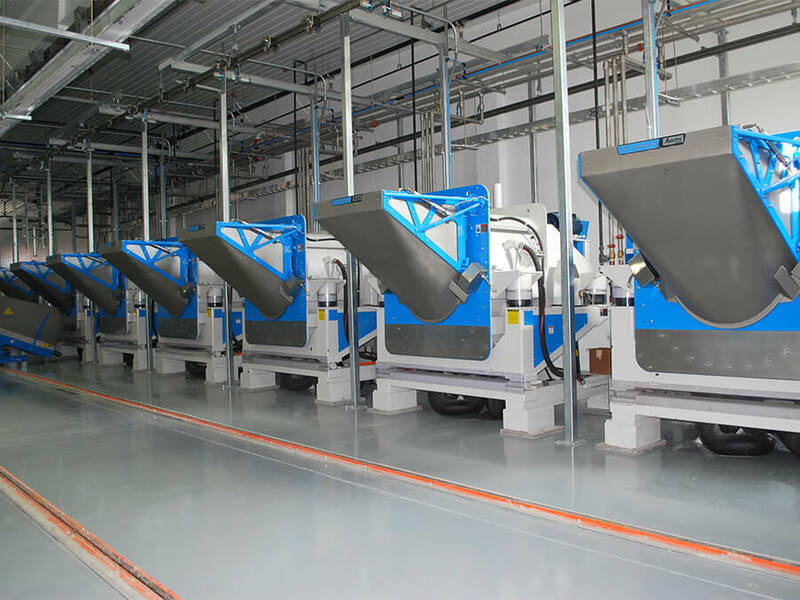 The L-Tron's built up rugged frame construction gives the washer extractor the added height to to fit into existing conveyor and rail systems to eliminate the need for extensive plant upgrades. Maintenance is simplified with a self-diagnosing, programmable watch dogs, which can monitor mechanical and electrical functions while washing. Eliminate re-tries and re-washes with the L-Tron's intellegent balancing system. The patented system assures proper distribution of the load prior to extraction. 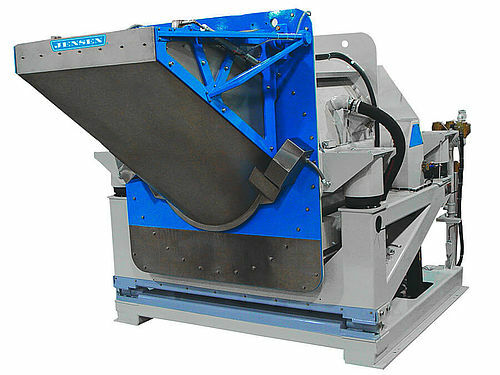 Reduces wear and tear on the machine, while increasing machine output. The L-Tron Open Pocket and Auto-Pro options give your plant the flexibility to pick the right washer extractor for your specific needs. 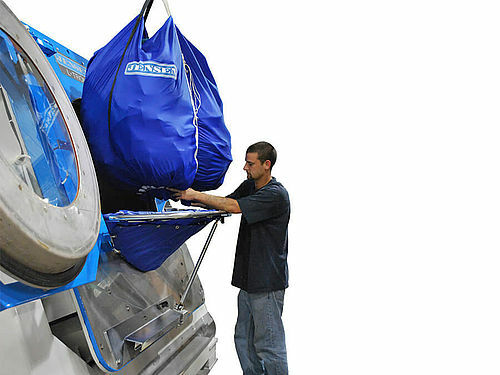 The L-Tron Open Pocket has the ability to tilt back to assist in manual loading of the washer. The L-Tron Open Pocket can also be fitted with load assist, which helps the operator easily manually load the basket. The L-Tron Auto-Pro has a patented hopper design which greatly reduces cycle times, by allowing the washer to be loaded without tilting. With either option, the L-Tron will allow a reduction in loading, maintenance and formula run time, adding efficiencies to your plant. The L-Tron Washer Extractor has no clutches, jack shafts or shock absorbers, which makes the machine one of the simplest to maintain. Brackets and braces are included as an additional safety feature for performing regularly schedule maintenance. The design eliminates unwanted tilting or closing of the door while the washer is being maintained.